Police reports contain important legal information for any criminal case, and they can help both victims and defendants find justice. They go by many names -- such as offense report, incident report, or police report -- but they all serve the same purpose. These reports memorialize an officer's actions in investigating a crime and in making an arrest. Defendants who are in custody can obtain a copy of the police report related to their arrests through their defense attorneys. The law allows the defense to request information like police reports from the prosecution, and in turn they are required to turn over any exculpatory evidence. Although discovery rules vary between courts, practically every criminal defendant will get a chance to see a copy of the police report at arraignment, if not shortly thereafter. Even if you are representing yourself (which isn't recommended), a prosecutor will likely provide you with a police report on your first court date. If you're a suspect who hasn't been charged or you're still waiting on your court date and you're out of custody, then you may have to request a police report on your own. Some police departments will allow you to mail a request with a self-addressed envelope, but you're more likely to get results if you request a police report in person. 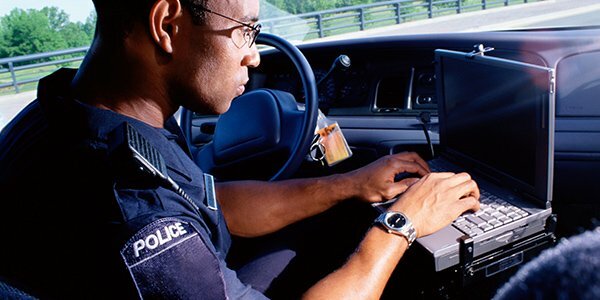 Many police departments have websites detailing the procedure that needs to be followed in order to obtain an incident report; however, sometimes these sites are lacking such information. It may be best to call someone at the police station to verify what information you may need to obtain a report. What If You're a Victim or Witness? Police reports aren't only available to those who are suspected of crimes, they may also be available to witnesses and victims of crimes -- and for good reason. For example, if you've been injured as a result of a criminal act, obtaining a police report may be of use in your potential personal injury case. Using the same process as an out-of-custody defendant, you may obtain a police report if you are a victim or witness to a crime. However, it may not be free -- you might be charged a copying fee.